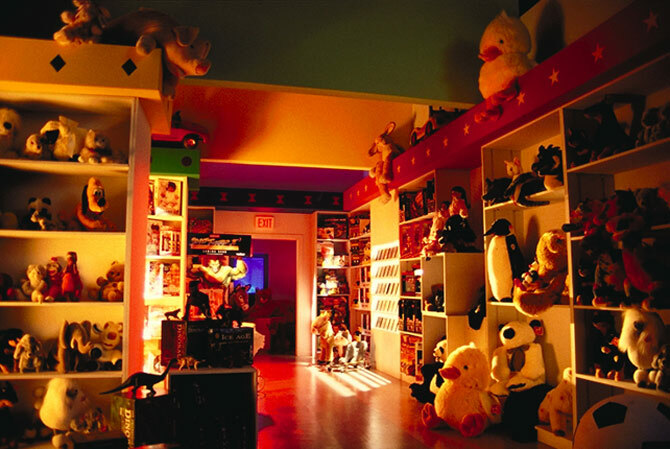 Toystore at night for "Streetfighter II" spot. Nightwatchman patrols spooky environment. Soffit panels used in lieu of ceiling.